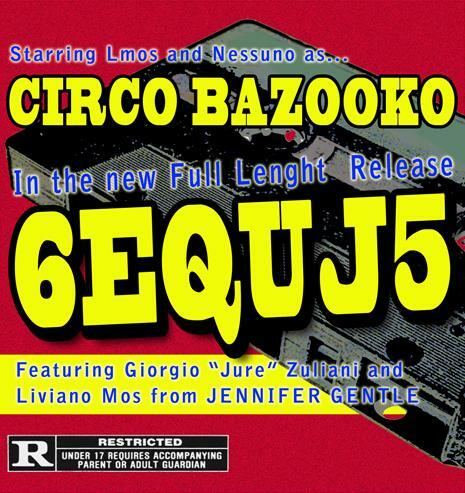 6EQUJ5 is a collaboration project between Circo Bazooko and Giorgio “Jure” Zuliani and Liviano Mos from Jennifer Gentle. The recording is an improvised live session recorded from one single jam between the group. It was all done in Trieste, Italy where the guys are all from. The CD contains 26 tracks all recorded and then mixed at MOS Records at Matonia Studios Ltd. while produced by Not Any. 6EQUJ5 requests that you read the insert to truly understand the quality of their recording…or lack of. Any way you look at it…it all comes out to be a very great sounding self released CD, that they hope you will enjoy.